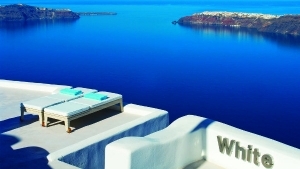 Langas Villas is known as "The Balcony of Santorini". 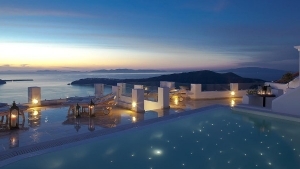 It is located at the picturesque Imerovigli, the highest point of Santorini island. 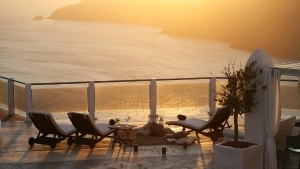 The hotel offers a rooftop terrace with breathtaking view of the volcano and the spellbinding sunset. 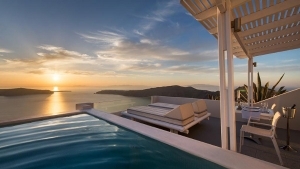 The Langas Villas Hotel is comprised of Cycladic-style, traditionally decorated and spacious apartments, featuring comfortable seating and dining area, and kitchen. Each room is air-conditioned and includes free Wi-Fi. Daily maid service is provided. 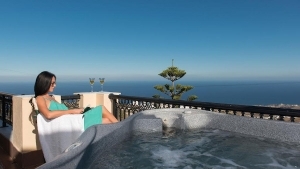 The swimming pool and the jaccuzi are designed for relaxing moments. Continental breakfast served in the room, the veranda or on the terrace. A parking lot is also available to guests, while the areas of the Langas Villas are easily accessible to persons with limited mobility.